Africans have been raising animals for their own use for thousands of years. Species of domesticated animals spread slowly southward through Africa, beginning around 3000 B.C. or earlier, and livestock herding became a traditional way of life across broad regions of the continent. Cattle, in particular, have played a central role in the social, economic, and religious lives of many African peoples. The process of domestication begins with wild animals. The definition of domestication states that animals have been domesticated when they have been worked into the social structure of a human community as objects that people can own, exchange, buy, sell, and inherit. In biological terms, domestication is something like evolution. A small number of wild animals are separated from the other members of their species. Over time, these animals become used to living with humans, who may control their breeding to emphasize certain characteristics. In order to be domesticated, an animal must have a temperament that allows it to accept human control and to live in close contact with people and other animals. It must also breed well in captivity. Cattle, sheep, and goats have these qualities. In addition, elephants are occasionally trained for work, and in ancient times they were used in war. Other potentially useful animals—such as antelope—do not have these traits, which probably explains why they have remained wild. Although a few types of animals seem to have been domesticated in Africa, many species became part of the human community first in Asia and entered northeastern Africa from the Near East or Arabia. The ancient Egyptians had dogs, cats, and all of the kinds of domestic livestock now found in Africa. It took a long time for domesticated species to spread southward, however. 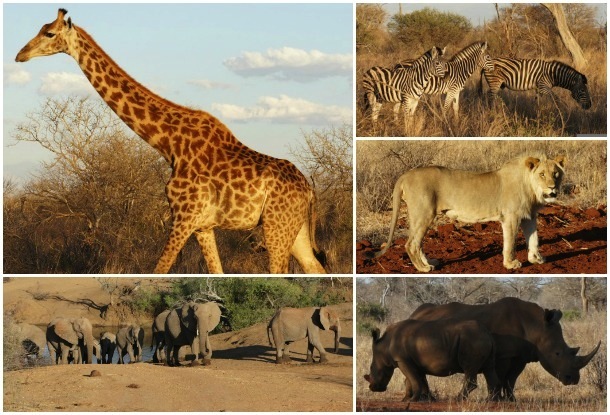 Most African groups probably did not adopt such animals until their populations had grown too large to be supported by hunting. Disease, especially sleeping sickness (trypanosomiasis) carried by the tsetse fly, kept some animals from thriving very far south of the Sahara. Africa has long been a melting pot for different kinds of cattle. Rock paintings found in mountains of the central Sahara suggest that people were herding and milking cattle there as early as 6,500 years ago, when the region was wetter and greener than it is today. A thousand years later, livestock herding was well established in the Sahara. Pastoralist groups tended longhorn and shorthorn cattle originally domesticated in Europe and Asia, as well as native shorthorn cattle domesticated in North Africa. Beginning around 5,000 years ago, the growing dryness of the Sahara drove these peoples south and east. They introduced cattle to the Nile Valley, Ethiopia, and northern Kenya. Around the same time zebu, or humped cattle, from India and western Asia were brought to Ethiopia. They crossbred with the longhorn and shorthorn cattle, producing a new breed called the sanga, which spread through central and southern Africa. Since then, crossbreeding has created dozens of varieties of cattle, including newer zebu breeds that are replacing the sanga in parts of northern and eastern Africa. Tsetse flies and parasites have kept cattle from becoming numerous in Africa’s rain forest regions, although efforts are being made to introduce breeds that are resistant to sleeping sickness. The many breeds of African cattle are put to various uses. Some herding peoples keep the animals mainly for milk, while other groups eat the meat as well. Cattle are frequently used to pull plows, turn waterwheels or grain mills, and carry loads. Sometimes cattle are ridden. In many herding societies, cattle are regarded not only as a convenient source of food but also as a living symbol of well-being and prosperity—both spiritual and economic. The pastoral peoples of Kenya do not kill their cattle for food, although they consume milk and blood from living animals and use the hides of dead ones. Cattle are important in many old African rituals, including sacrifice and the giving of bridewealth from a groom’s family to a bride’s family. The dromedary, or one-humped Arabian camel, is found across the North African desert and the lands along its southern edge. All dromedaries are domesticated. About 70 percent of the world’s camels live in the Sahel, northern Kenya, and the lowlands of northeastern Africa, including Egypt. Because camels are extremely vulnerable to diseases such as sleeping sickness, they cannot survive in wetter regions inhabited by the tsetse fly. In the Sahel and in the northeastern lowlands, nomadic herders raise camels almost entirely for their milk production, while in western Sudan and parts of Kenya, camels are used for meat and transport. In northern Sudan and North Africa, camels are used primarily for riding and carrying loads. The main advantage of these animals is that they require much less water than cattle. They can tolerate desert conditions and carry loads of up to 350 pounds over long distances. For hundreds of years caravans—groups of traders and travelers journeying together—have crossed the Sahara with the help of camels. As recently as the early 1900s, traditional salt-trading caravans included as many as 20,000 animals. Horses came to Egypt from western Asia about 3,500 years ago. In many parts of the continent they suffer both from sleeping sickness and from African horse disease—an illness that can kill 90 percent of a herd. Most horses are found in North Africa, the Saharan and Sahelian regions, and parts of western Africa. Horses that were originally brought by European settlers live in South Africa. Unlike horses, donkeys were domesticated in Africa in the Nile Valley around 6,000 years ago. More than half the donkeys in Africa today are located near the Nile region, in northeastern Africa, and the Sahel. People ride donkeys and use them to pull plows and carry firewood, water, and other loads. Domestic sheep from western Asia were brought to Egypt 5,000 years ago. African sheep today are descended from several basic types, some of which have fat tails or rumps that are an extremely valuable food resource. Sheep throughout Africa produce milk and meat. Pastoralist groups in northwestern and northeastern Africa favor indigenous breeds that tolerate dry conditions. In southern Africa, European settlers introduced breeds such as the merino and Blackhead Persian sheep for fine wool production. Goats—also first domesticated in western Asia—have evolved over the centuries into various African breeds. All of them are used for meat and skins, although some are milked as well. In the Sahel region on the fringes of the Sahara, medium-sized goats have adapted to the area’s very dry grazing lands. One such goat breed, the Red Sokoto, has a very fine hide prized by the leather workers of Morocco and Nigeria. In wetter areas of western Africa and Sudan, farmers raise smaller animals called dwarf goats. Angora goats were brought to southern Africa in the 1800s, and since then the region has become a major producer of mohair—the Angora goat’s long, wooly hair. In the past, pigs have not been very important in Africa. Muslim peoples have religious restrictions against eating their meat. In addition, pigs are better suited to life on a farm than to the pastoral lifestyle of many African peoples. Pigs are also vulnerable to many African diseases and parasites. Most of the continent’s domestic pigs are raised on large, European-style commercial farms. However, pigs are gradually being introduced into the farming systems of indigenous peoples, where they provide meat in areas that lack other meat sources. Various smaller animals are also raised for food in Africa. The guinea fowl, a chicken-like bird, is native to Africa and was domesticated there. European explorers later carried it to other parts of the world. Africans also raise chickens. In some parts of western Africa, people have bred the giant African rat and the cane rat as food animals. Over the last 2,000 years, African domestic animals have been crossbred with foreign breeds brought by Arab and Asian traders and, more recently, by colonial settlers from Europe. The combination of evolution and controlled breeding produced many new breeds with distinctive features, such as the rounded horns of cattle from the region of Lake Chad in the Sahel. During the twentieth century, Africans called for improved livestock—animals that would be more productive than African breeds and better suited to the African environment than foreign livestock. This demand led to many experimental breeding programs. For example, the native cattle of southern Ethiopia, which can survive in a semidesert environment, were crossbred with cattle from northern Europe that produce large quantities of milk and beef. Such practices increase production of beef and milk in the short term, but crossbreeding may have serious long-term effects on the ecosystem. The unique genetic makeup of local breeds of livestock may be lost in the process, and new breeds may have less resistance than the native animals to diseases or to environmental stresses such as drought.